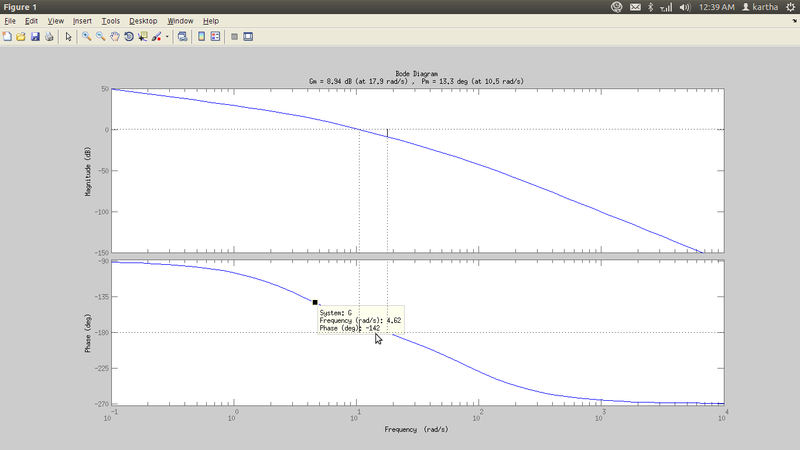 This will be my last post in this series on using matlab for designing the compensators. 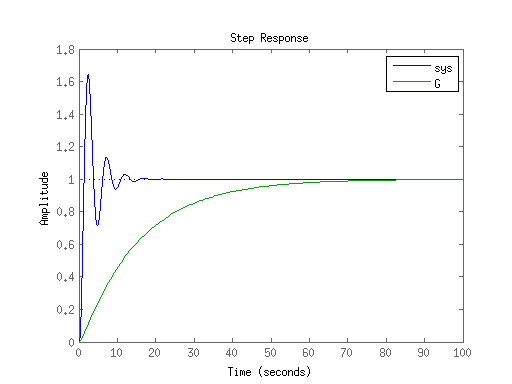 In this post we will see the step response of an RLC circuit using a matlab program.The initial conditions are current is 1ma and voltage across capacitor is 2V. The state space representation of the above circuit is. This has been the most difficult part for me since I started writting this series. 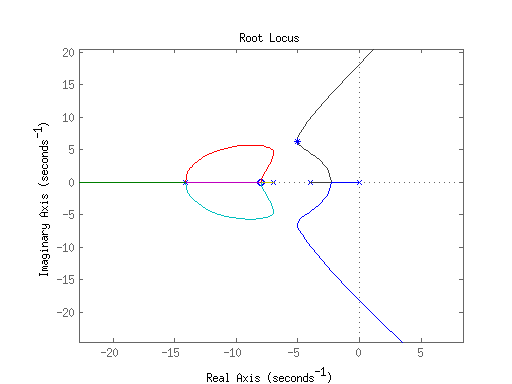 I took one whole day to figure out how to write a program to designa lead compensator with rot locus in matlab. For those who have followed my previous posts will know by now what the compensators are. As said earlierlead compensators help in improving the transient response. And now we design it with the time domain specifications. From given specifications determine the damping ratio and the natural frequency .
. If damping ratio alone is given then draw the root locus and draw line from origin at an angle to intersect the root locus, the point of intersection is the dominant pole. 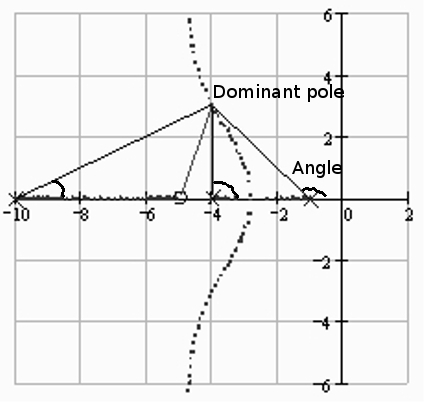 Measure angle contributed by each pole and zero of uncompensated system to the dominant pole as marked in the diagram, the angles are measured in the counter clockwise direction from the positive real axis direction. This angle if greater than 60 then two compensators each providing half the required angle is made. 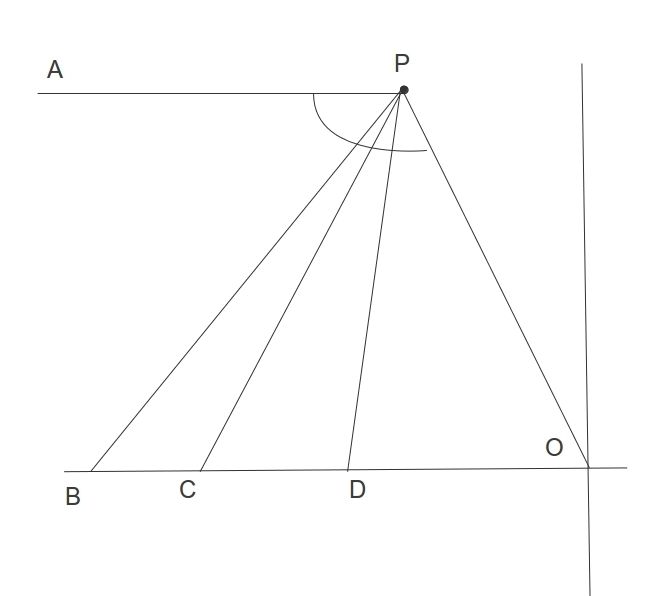 as In the figure above draw PC bisection angle APO and draw line PB and PD such that they make angle with respect to PC B is the required pole and D is the required zero . Now to do this In Matlab let us take a question. I will be solving the question number 1.7 in Advanced Control Systems By Nagoor Kani. In th text book the question has been solved without using matlab you can go through it to understand the steps better. the Peak over shot is 12.63% natural frequency of oscillation is 8 rad/sec and velocity error constant should be greater than or equal to 2.5. Calculate the damping ration from the peak over shoot given the equation had been discussed in the previous post. The code below shows the matlab commands to obtain the design. G2=tf(conv([1 0],n),d); % this is for evaluating the Kv we multiply numerator with s.
pzmap(G1)  % make pole zero plot. So far we have seen the design of lag compensators, now we move on to lead compensators which help in improving the transient response. We will start from the frequency domain design using bode plot. Here I would like to tell the readers something I forgot to mention in the first post. In matlab sin(angle) and sind(angle) are two functions where the former uses angle in radian and latter in degree. Now to do this In Matlab let us take a question. I will be solving the question number 6.2 in Control Systems By Nagoor Kani. In the text book the question has been solved without using matlab you can go through it to understand the steps better. the phase margin should be atleast 33 and velocity error constant is 30. 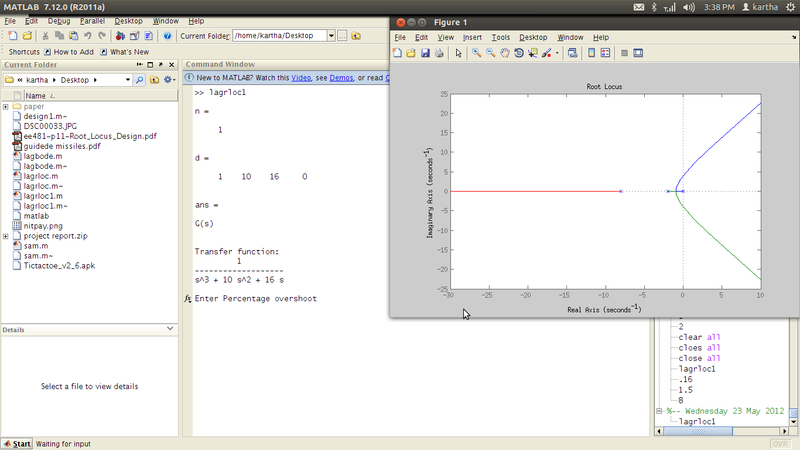 So far we have discussed on an Introduction to Matlab and Lag compensator design with bode plot. 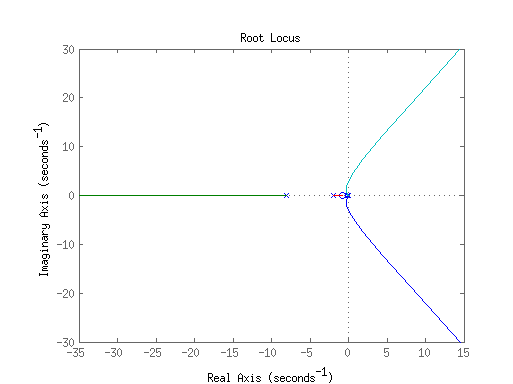 In this post we will deal with lag compensator design with time domain specifications and using the root locus technique. From given specifications determine the damping ratio. 1/T is always choosen to be 10%of second pole of uncompensated system. 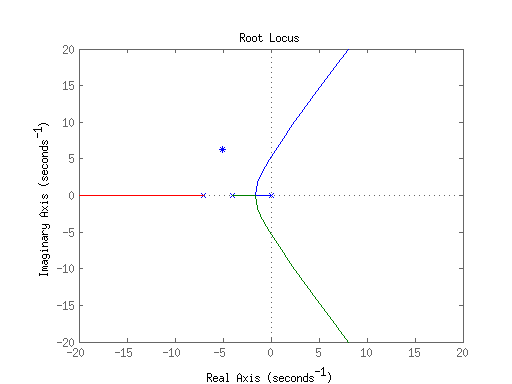 plot the new Root locus and check if given conditions are satisfied. Or else change the location of poles. We will solve question number 1.3 in Advanced Control Systems By Nagoor Kani. Let us solve this with matlab.
. Design a lag compensator so that peak overshoot is less than 16% for step input and steady state error is less than 0.125 for ramp input. The Diagrams below show the results obtained Please don’t forget to comment or ask doubts in case of trouble. In the previous post An Introduction to compensator Design with matlab we saw an introduction to compensators. 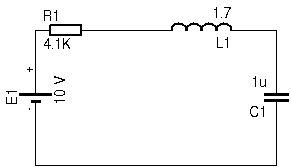 In this post we will deal with lag compensator design with frequency domain specifications. Now to do this In Matlab let us take a question. I will be solving the question number 6.2 in Control Systems By Nagoor Kani. In th text book the question has been solved without using matlab you can go through it to understand the steps better. Open loop transfer function and the phase margin should be atleast 33 and velocity error constant is 30. 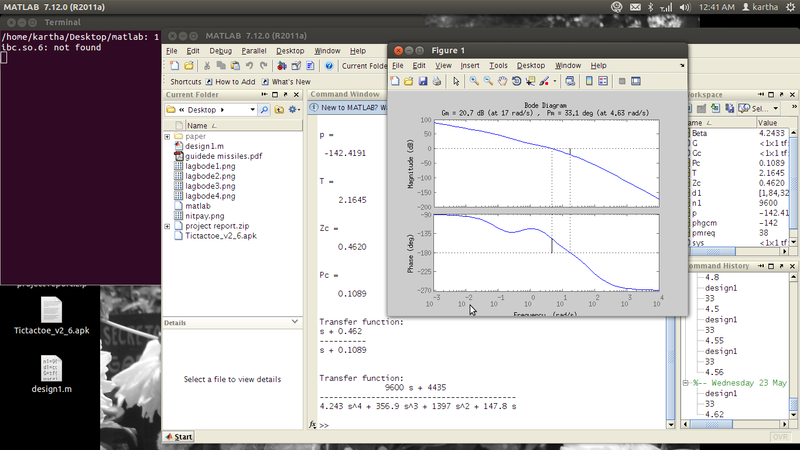 G=tf(K,d1) % generate the transfer function. wgcm=input('Enter new gain cross over frequency') % from the first bode plot use the mouse pointer and locate wgcm corresponding to phgcm. If you have any doubts please do contact me. This will be a series of posts where I will be dealing with Control system Compensator design using matlab. This is intended primarily for Btech Electrical and Electronics students. I will try to be as brief as possible the underlying concepts have to be studied from standard text books. If there are any mistakes please point them out. Basically the compensators have to be designed based on the time domain specifications like rise time, maximum overshoot,damping ratio and settling time. these are the transient state specifications. And in frequency domain the transient state specifications are phase margin, gain margin, resonant peak and bandwidth. 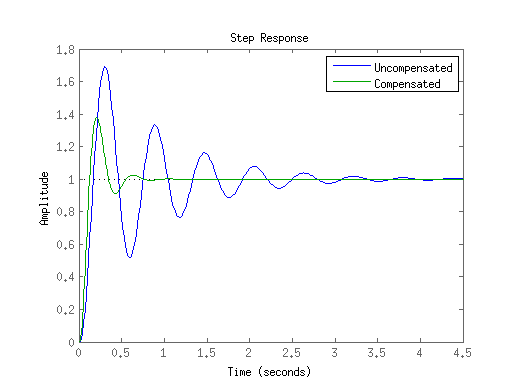 The steady state responses in both cases are the error constants. We will start with what compensators are. Compensators are devices added to a control system so that it meets the given specifications. They introduce poles and zeroes to the system. The main types of compensators are the lag, lead and lag lead. A compensator that introduces a phase lag to an input signal is called a lag compensator. It improves the steady state performance of the system, but reduces the bandwidth and results in a slower transient response too. It is basically a low pass filter. A compensator that introduces a phase lead to an input signal is called a lead compensator. It increases bandwidth and improves speed ofresponse but there is only a small change in the steady state response. It is basically a high pass filter. Please do refer text books for more details on compensators. 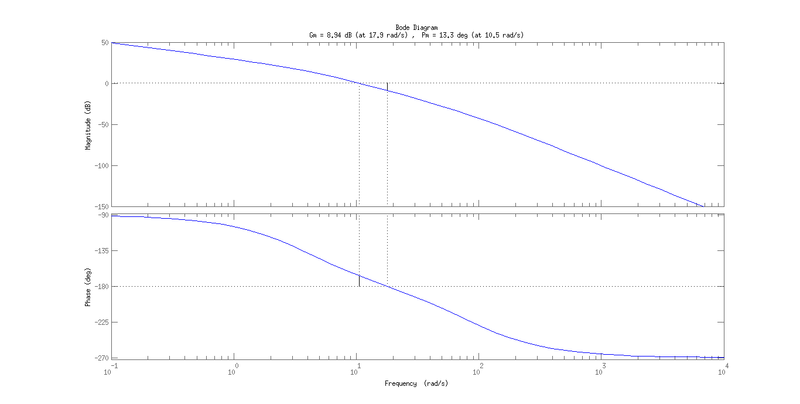 Compensators can be designed with time domain specifications and it is done using root locus technique and If frequency domain techniques are used then Bode plot is used( other frequency domain plots can also be used but here we deal with bode Plot). If you have learned the basics then please move on to the next Post. If someone asks you to list out some of the most important inventions that revolutionized the world, you may say, radio, computers, electricity, steam engine etc. The list of inventions is just countless and we cannot pick out the “best” because all are equally important. But if someone asked me that question I would say electricity, not just because I am an electrical engineer, but because I believe its one of the most marvelous discoveries made by man a reason that made me choose the subject for Engineering. Electricity changed the face of the earth it change the way everything works. It brought about a revolution in all spheres of technology. As such electrical energy is something to be treated with respect and to be used judiciously. Energy Conservation is a hot topic nowadays. So I just thought I will share some tips I have learned through out my engineering course. The major step towards saving our electricity bill and thereby to save energy is to design a proper wiring system in our houses. There is a trend nowadays to have power plugs every where necessarily and unnecessarily. And that increases the power demand of the house from the view-point of the supplier and you are likely to be charged for a three-phase supply. And in reality you may not even be using. In India three-phase supply is given to consumers with a load more than 5KW. The table below shows the some of the electric loads and there values. So you can now calculate the total load of your house and see how many unnecessary points you have. Ensure that you do house wiring by an expert because faulty wiring can cause wastage of current and thereby increase your electricity bills. Now for those who cannot do anything about the number of points, there are some simple techniques to save energy. first and foremost switch to energy-efficient lamps. Change all the incandescent lamps as this will not only improve lighting but also the temperature within your room. I believe everyone has switched onto to CFL nowadays. I have never see any incandescent lamps recently. The most important step is to turn off any equipment big or small that is not in use. Avoid unnecessary usage of electricity. Open windows whenever possible at daytime and reduce the use of lights and fans. There is a tendency for us to leave remote controlled devices like the TV plugged on and switched off with the remote. Even when the TV is switched of by remote it consume around 10W of energy. Now if you leave it like that for 100 hours you will be utilizing 1 unit of energy( 1 Kwh). Try to buy equipments with the 5 star energy efficiency ratings. The more number of stars the more energy you save. So please use energy efficiently and effectively. After four years of my Btech life and the numerous electronics projects I did, I found my room overwhelming with broken components and fried up chips, all adding to the great e-waste. 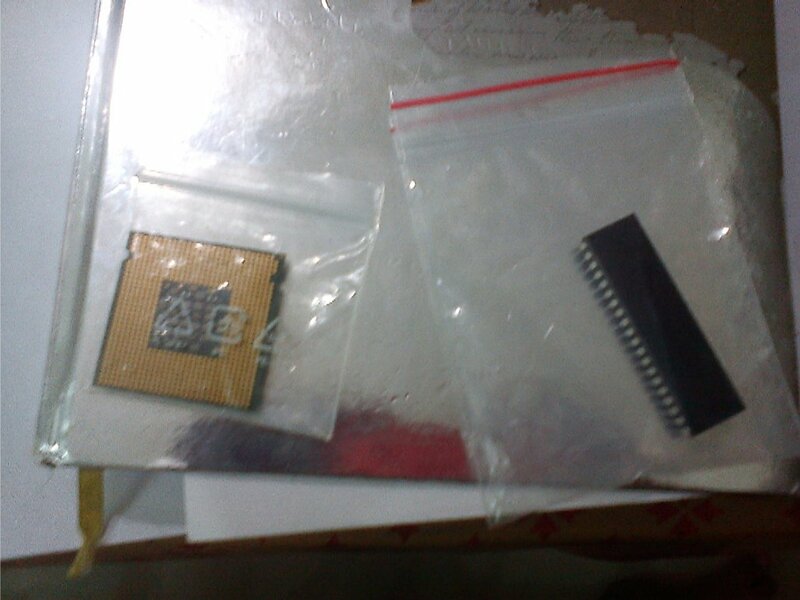 I had many ICs including a Pentium 4 processor some micro controller chips and even a DDR RAM. I felt like my room was a junkyard. My DDR RAM was in working condition so I tried to sell it to some of my friends and it is then that I realized that no one right now has a motherboard supporting the DDR. All have been upgraded to DDR2 and DDR3. It was then that i thought of “collecting electronic parts”, who knows the components that I have now may go out of production as newer technologies are invented, and this will also help in educating myself more about each component. I searched the Internet and i was disappointed not to find anything related to it. So maybe a new hobby was being invented. First I started by sticking the components on to a notebook and writing down its details just like a scrap book but soon I found out that it was not a practical solution as bigger components would not go into the book. Then I decided on Putting the components in resealable plastic covers and labeling them and I could keep a catalog on each component I have and collect useful information about it and write it down in a book. If any of my readers have suggestions about such a collection or if you know anyone doing such a thing please let me know. Because I would really like to do this in a good way. This is my small way of saving the world from e waste because if anyone else gets inspired by my blog they too will start collecting electronic items instead of just dumping them. Please don’t forget to give m your valuable suggestions. 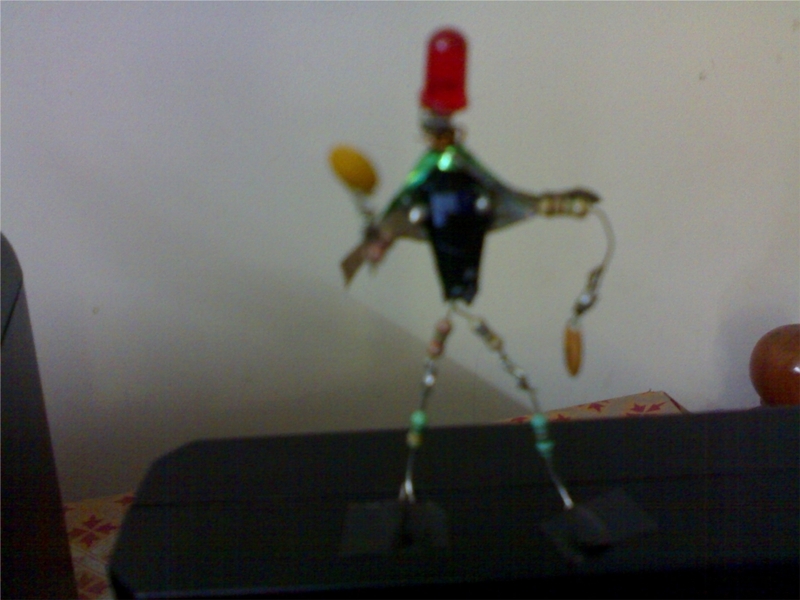 Making art out of electronics can be another way, I once tried my hand at that and here is something I made. Who is not afraid of bugs ? 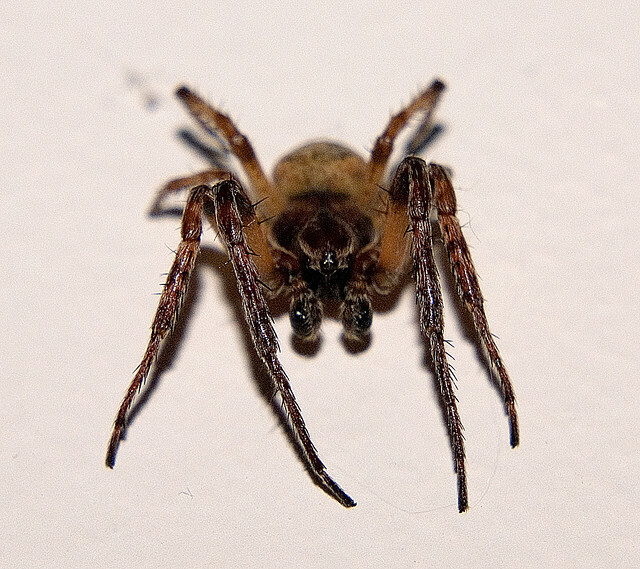 Most of my readers I know will shudder just at the thought of those creepy things crawling all over you . But there is another class of bugs that can ruin your sleep, your peace of mind and can really make you go nuts, we engineers call the software bugs. They can make a beautiful program a mess and can get you right back to square one. Everyone who has written a program no matter how basic it is will have encountered bugs in the first trial. Bugs can be caused due to carelessness from the part of the programmer or the programmers inability to spot out an invalid condition and it can also be caused by hardware imperfections. No matter how much care is taken to write a bug free software is an unrealized dream and software experts claim that it will remain unrealized. 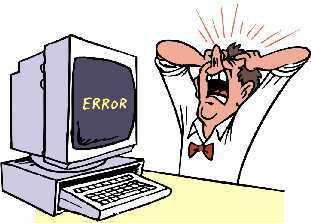 Software Bugs have caused alot of trouble. Paul Bourdeaux mentions Top Ten Most Infamous Software Bugs Of All Time in his blog. “Debugging is like removing needles from the haystack” It can be one heck of a job to find bugs in a very large program. While working on my Btech Project I encountered a Similar situation the program started giving weird results I spent almost two days checking the logic and analyzing it and the real cause of the error was a wrong argument to a function. Despite all this There has been an effort to classify bugs in an interesting way. All those who have learned programming might have heard terms like run time errors, Logical bugs, arithmetic bugs, syntax errors etc. A BohrBug is just your average, straight-forward bug. Simple like the Bohr model of the atom: A small sphere. You push it, it moves. BohrBugs are reproducible, and hence are easily fixed once discovered. These are named after Niels Bohr, who proposed a simple and easy-to-understand atomic model in 1913. In Bohr’s model, things like the path and momentum of an electron in an atom are predictable. A bug that disappears or alters its behavior when one attempts to probe or isolate it. No matter how much time and effort is spent trying to reproduce the problem, the bug eludes us. Such bugs were named Heisenbugs, after Werner Heisenberg, who is known for his “uncertainty principle”. According to his theory, it is not possible to accurately or certainly determine the position and velocity of an electron in an atom at a particular moment. When the cause of the bug is too complex to understand, and the resulting bug appears chaotic, it is called a Mandelbug. These are named after Benoît Mandelbrot, who is considered the father of fractal geometry (fractals are complex, self-similar structures). A bug in an operating system that depends on scheduling is an example of a Mandelbug. Sometimes, you look into the code, and find that it has a bug or a problem that should never have allowed it to work in the first place. When you try out the code, the bug promptly shows up, and the software fails! Though it sounds very uncommon, such bugs do occur and are known as Schroedinbugs. They are named after the scientist Erwin Schrödinger, who proposed that in quantum physics, quantum particles like atoms could exist in two or more quantum states. By observing the problem in the code, you change the outcome — either the software works or breaks. So these kinds of bugs are known as Schroedinbugs. A bug, after which its resolution is found, reveals additional self-similar bugs elsewhere in the code, after which they are fixed, likewise appear elsewhere still. 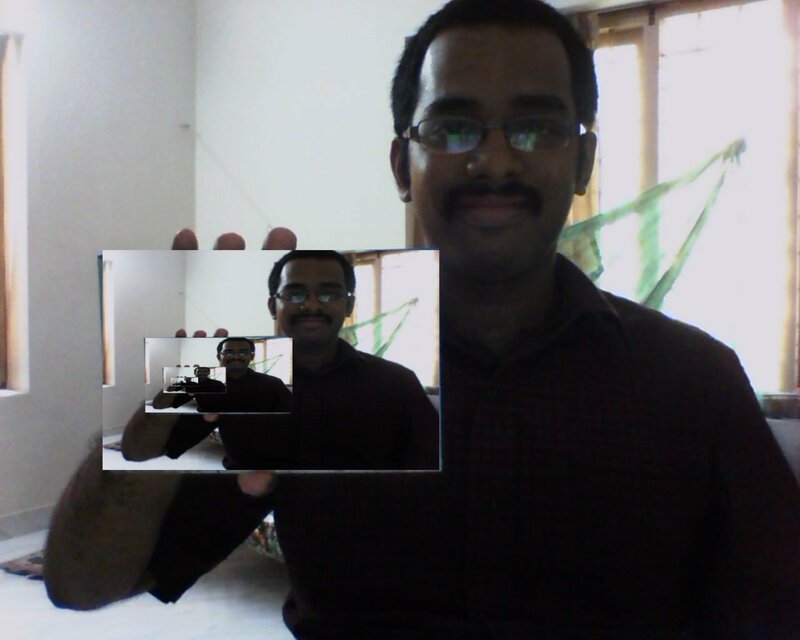 Recursion and recursive functions are a great concept in programming languages. For a beginner it can turn into one of the worst nightmares but once you get into the spirit of programming then writing recursive programs will be a bliss. Recently some of my friends found it difficult to write a recursive program to print the Fibonacci series upto a limit. This is what inspired me to write a small post on recursive functions. My post will be based on C programming. I am not an expert to write a large post on recursive functions but I would like to share with you some interesting things I know on recursion. Recursion is nothing but the breaking up of a large problem into smaller problems. It is a divide and conquer policy. Here the smaller programs are defined in terms of the larger program, or we can say that a single function calls itself till a base condition is reached. Recursive functions can make your program look more shorter and neater. But debugging and understanding a recursive program can be a difficult task. But the trick is to identify the base case and the recursive steps. Here I will demonstrate the Fibonacci series example with and without recursion. Before you look into the program I suggest reading http://braintenance.blogspot.in/2011/08/fibonacci-numbers-math-meets-mysticism.html to really understand the fun in Fibonacci series. So much has been said about Recursive functions but any post on recursion would be misleading if I leave out the following points. Recursive programs are less efficient as more memory space is used each time a function is called. Iterative programs are less time-consuming and easier to write. Despite that recursion can be fun and can really turn you on if you are a coding maniac.